Emily Settle was finishing her freshman year as a dental hygiene student at the University of Southern Illinois when she started to notice the symptoms. 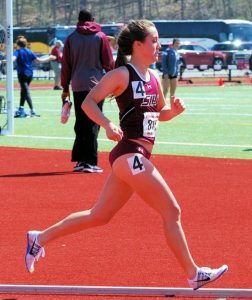 Emily, 19, was in top physical shape as a collegiate track and cross country athlete, but she was suddenly struggling to complete regular training with her team. Emily recalls feeling tired all of the time no matter how much she slept. 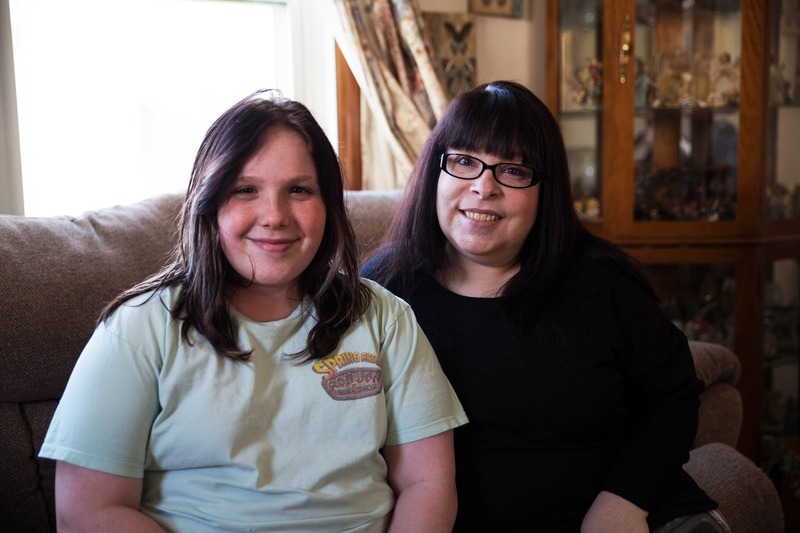 On a regular call home to her mom, Emily mentioned feelings of fatigue and a stiff neck. 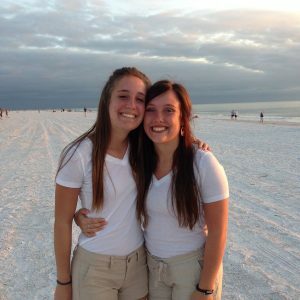 Her mom, Sandy, feared that Emily may have contracted Meningitis and urged her to go to the campus health clinic to get blood tests. Emily’s lab results showed a high number of white blood cells, so the campus clinic sent her to the local hospital in Carbondale, Illinois, for further testing. At the hospital, the physician on duty warned Emily that there was a possibility that she could have leukemia. After that, the last thing Emily said she remembers was being loaded into an ambulance on the way to a regional hospital in St. Louis. By the time Emily arrived in St. Louis, the additional tests had confirmed that Emily had B-cell acute lymphoblastic leukemia (B-ALL), a very aggressive form of leukemia. Emily had also developed hypereosinophilia, an abnormally high amount of a certain type of white blood cell called eosinophils. The white blood cells had formed a clot in the left ventricle of Emily’s heart, causing her to have watershed stroke effect. Emily spent six weeks in the intensive care unit, which required her to attend therapy to learn to walk and talk again. In the United States, approximately 3,100 children and adolescents younger than 20 years are diagnosed with ALL each year. Sandy said she credits Emily’s track and cross country conditioning with helping her daughter to survive the hypereosinophilia, “The doctors in St. Louis told us that a large part of why she pulled through was because her heart was in such great shape”. The medical team at St. Louis first coordinated their care to preserve Emily’s fertility options for the future. Then, Emily received multiple rounds of chemotherapy and eventually one allogenic stem cell treatment. The leukemia showed signs of remission for about a month, but after 30 days, her cancer returned. Once Emily was well enough to travel back home to Westfield, Indiana, her family brought her to Riley Hospital for Children at Indiana University Health under the care of Dr. Kent Robertson and Dr. Jodi Skiles. When Emily first arrived at Riley, she was set to receive a type of immunotherapy called CAR-T. The team at Riley had worked tirelessly with a hospital in Michigan to get Emily approved for the CAR-T therapy. While waiting to get her T Cells harvested, Emily had a bad reaction to a chemotherapy that made her ineligible for the CAR-T therapy. After receiving the disappointing news that Emily would no longer be eligible for CAR-T therapy, the team at Riley decided to pursue a Clinical Trial of a medication called Inotuzumab that had already been FDA approved for older adults but was still being tested in children and young adults. 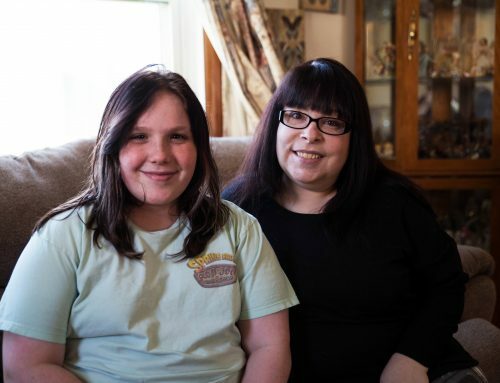 After just one round of treatment, Emily’s leukemia went into remission. Over the past 20 years, advances in cancer treatment have improved the outcomes for children and older adults, but not for adolescent and young adult (AYA) patients 15-39 years of age. Other factors include things such as social support, or that young adults just finishing college or joining the workforce may feel pressure to not take time off of work or disrupt their careers. Additionally, lack of health insurance or financial resources can contribute to the challenges of caring for adolescent and young adult patients. The National Comprehensive Cancer Network (NCCN) recommends that AYA patients should be treated by a multi-disciplinary team of doctors and that all AYA patients should be encouraged to participate in tumor banking and other clinical trials. Unfortunately, only around 2% of patients age 20-25 are enrolled in clinical trials unless they are provided care at a Pediatric Cancer Treatment Center, in which participation jumps to 26%. NCCN Guidelines for Adolescent and Young Adult Oncology also recommend that cancer centers should adopt the appropriate evidence-based treatment, which means that adult centers should adopt pediatric protocols that have shown superior outcomes in AYA patients, and that pediatric centers should adopt adult treatments that have shown benefit in this patient population. Riley Hospital for Children includes a pediatric oncology program that takes this approach, however, only 19% of 18-39-year-old ALL patients in Indiana received care through the Riley Pediatric Oncology program in 2017. Good quality care for AYA cancer patients includes having access to a multi-disciplinary team of health experts who can help patients address fertility preservation, maintaining work and school obligations, financial issues, transportation, child care, and assessing the toll a serious illness can take on a patient’s mental health. Fortunately for Emily Settle, the team at Riley was able to provide her the multi-disciplinary care she needed and connect her to a clinical trial that ultimately put her leukemia into remission. After success with the Inotuzumab Clinical Trial, Emily was able to receive a life-saving stem cell transplant from a 28-year-old donor. It hasn’t been an easy road but now at almost 21 years old, Emily is finally 100% leukemia free. 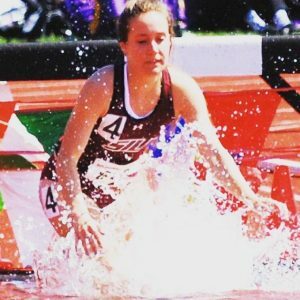 While her days of competitive running are behind her, Emily says she’s looking forward to participating in a marathon for the Leukemia & Lymphoma Society. Her experience fighting B-ALL has also inspired her to return to school to become an oncology nurse. “All of my nurses were really nice, but some of them had also battled leukemia and they could relate to what I was going through. That really helped me a lot and I want to be able to help other people who are battling cancer,” Emily said. The Settles say the support from the community has been amazing. Friends, family and strangers alike came together to provide support for the family. “So many people have helped me that I don’t even know,” said Emily. 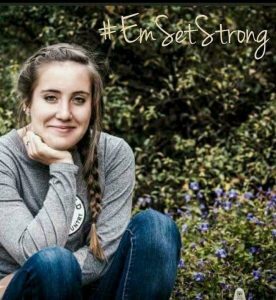 “It’s so heartwarming to know that many people actually cared.” By hosting the #EmSetStrong fundraiser the community donated over $21,000 to help the Settle family with the cost of Emily’s treatment and out of state travel. Inspired to pay forward the kindness they received from the community, the Settles left money in the fund in hopes of donating it to other families who may be in a similar situation. Even with all of the challenges she has faced, Emily is already giving back by participating in research to help others. “Any time I have blood drawn I always allow them to take an extra tube and donate it to research,” said Emily. Research & Clinical Trials like the one Emily participated in are how doctors and scientists can discover new and better ways to prevent, diagnose or treat different diseases. “We always ask the question ‘How can we do it better?’ Research gives our patients a chance at living a truly full life. It is the essential cornerstone that allows us to know better so that we can do better,” said Dr. Jodi Skiles.